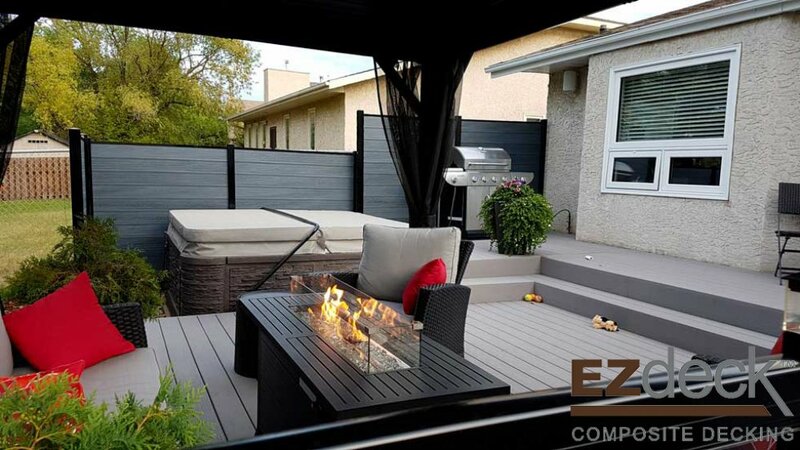 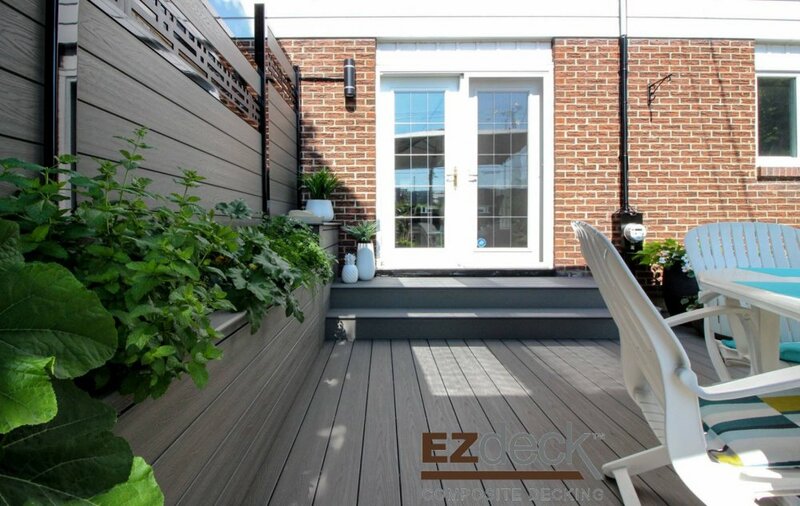 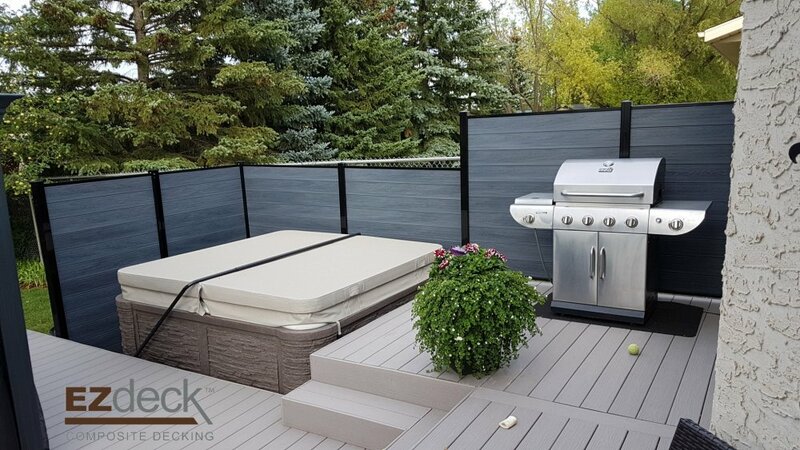 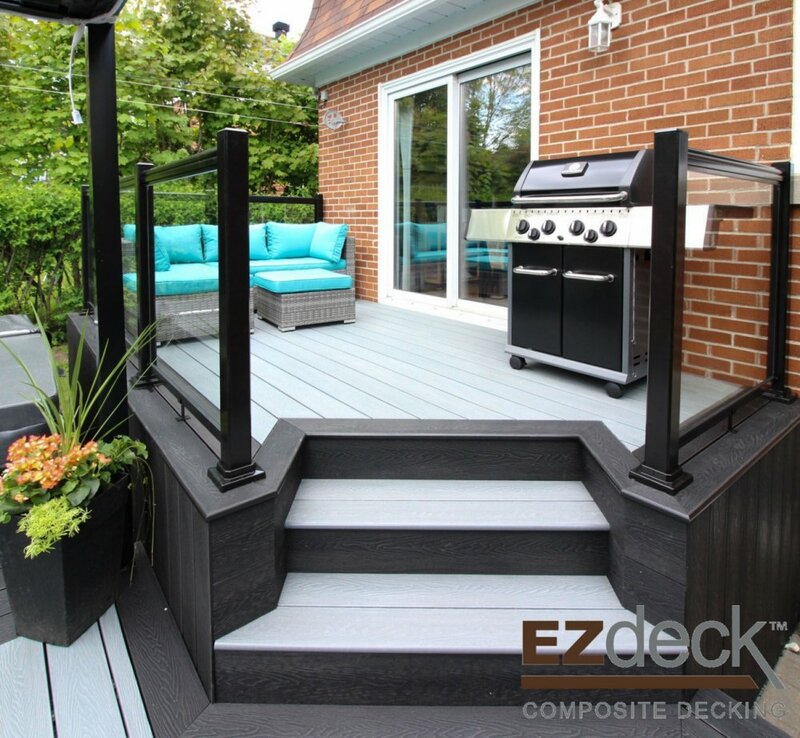 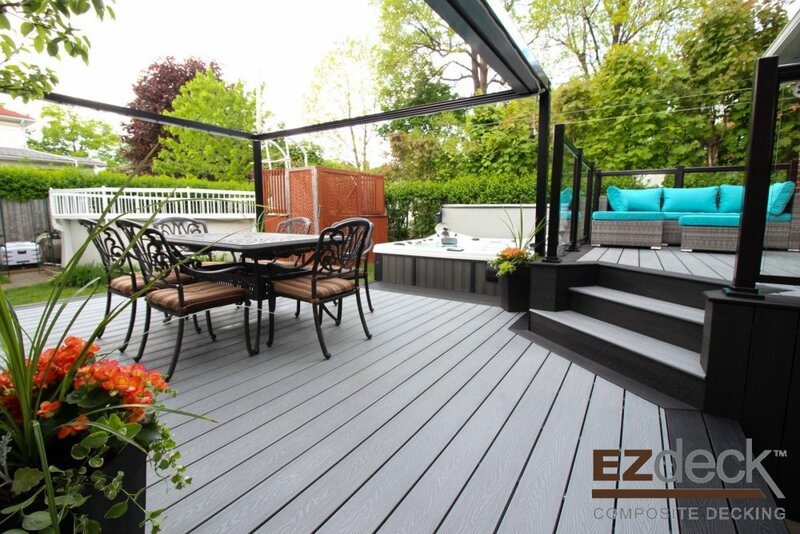 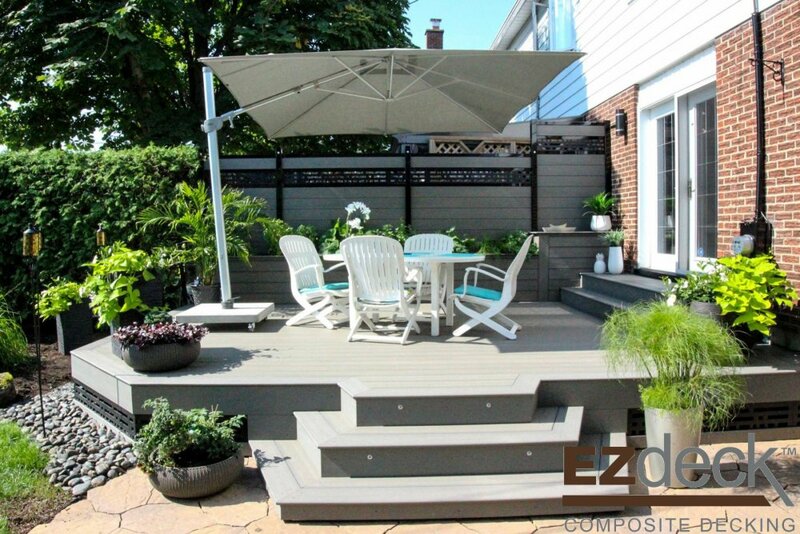 The composite wood includes three beautiful ranges of composite wood decking boards with tropical colors and natural wood grains. 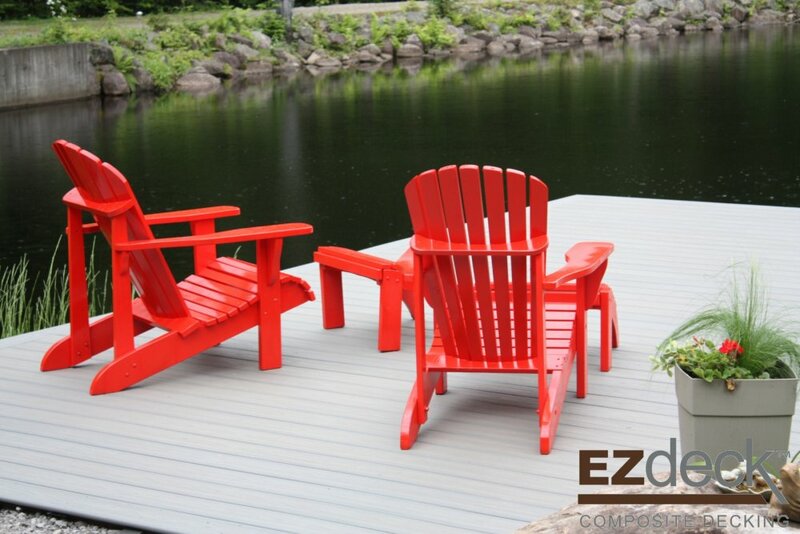 It's the largest range in Canada of composite boards for all tastes and budgets. 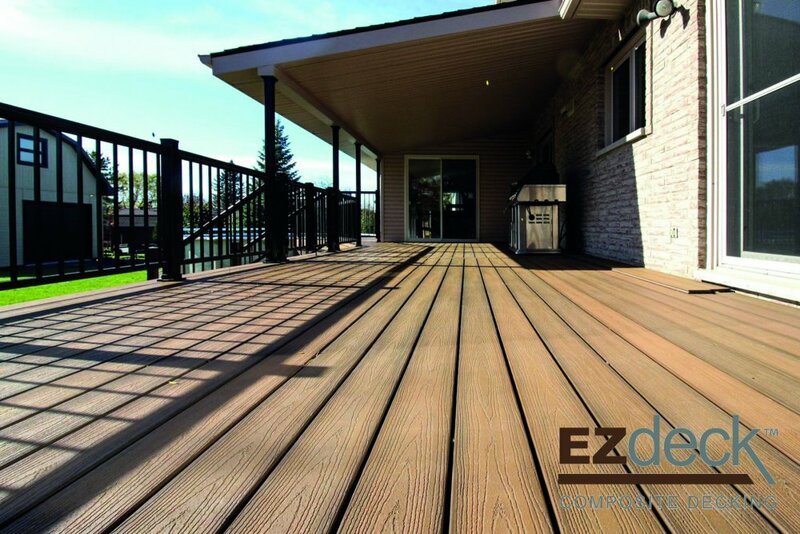 The Elite are coated with a high-performance shell that protects the surface area from scratches, UV fading, stains, moisture, mold and mildew. 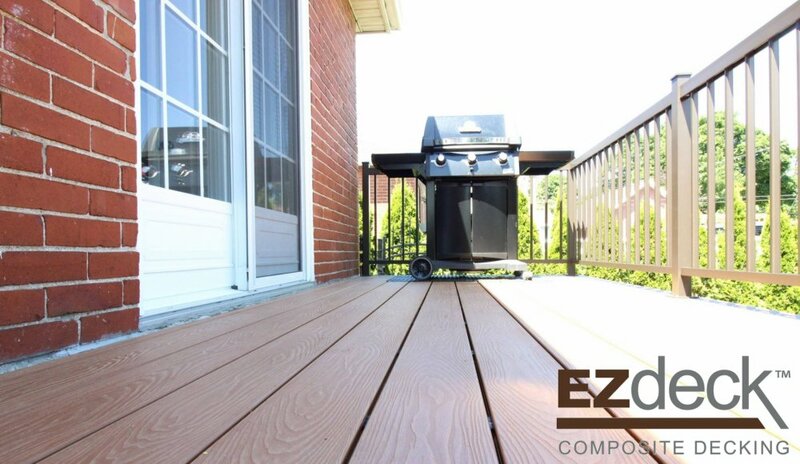 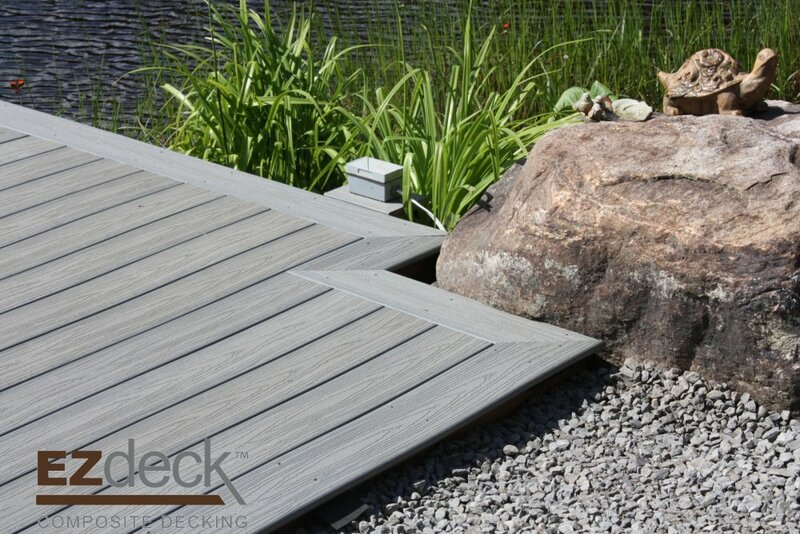 The Natural composite boards are resistant against moisture and mildew with a deep wood grain and beautifully brushed. 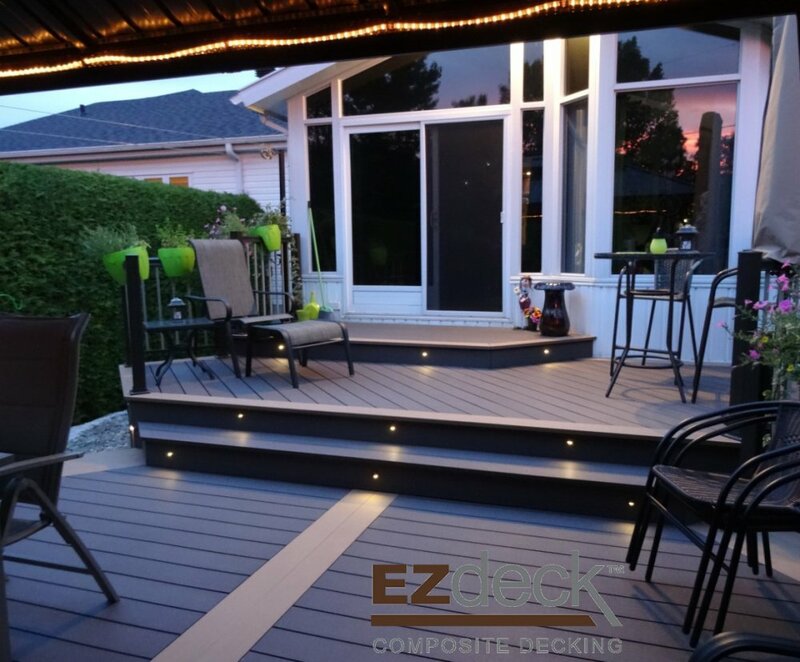 The Design composite boards are offered at the best price point available in the market, with a beautiful design on one side and lined on the other. 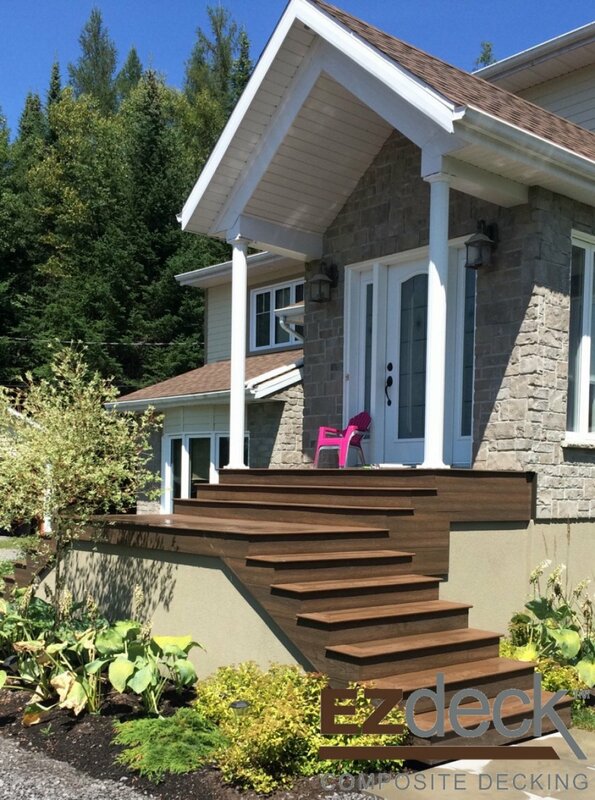 Finishing board, fasica and steps. 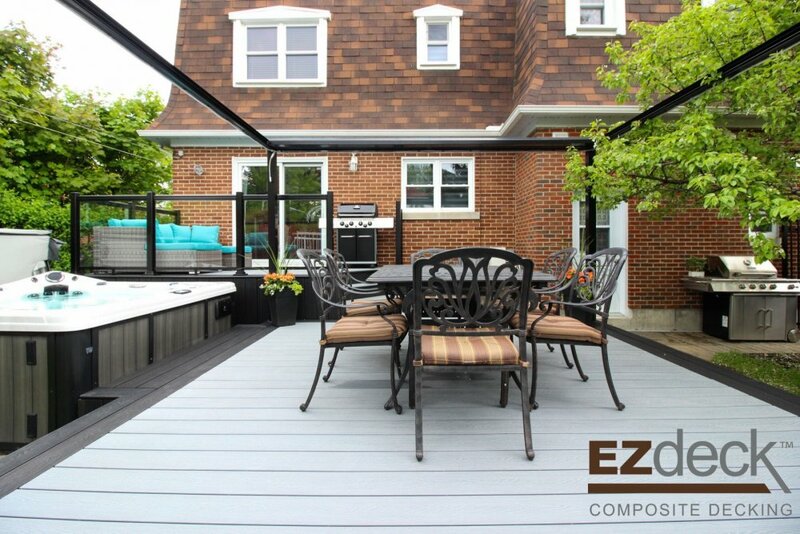 We also have composite tiles.